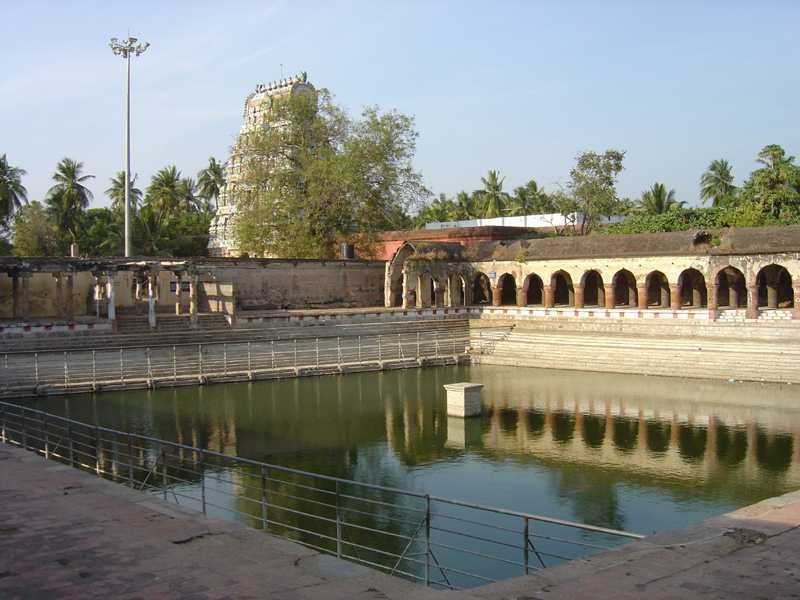 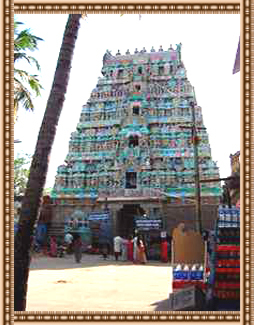 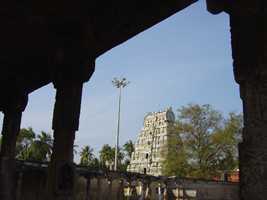 Thirunageshwaram is one of the 127 temples on the southern banks of river Cauvery. It is one of the Panchakrosa Sthalas.The presiding Deity is Arulmigu Giri Gujambika Sametha Naganathaswamy.The Raaghu Sannathi ( Nagaraja Shrine)is on the South-West direction of the second prakara.Raaghu,the Naga (Serpent) King worshipped the Lord Siva,hence this place is named ‘Thirunageshwaram'.Further Raaghu had received a boon from Siva for bestowing grace and prosperity to those who worship Him with devotion.He took His abode as God with His two consorts. 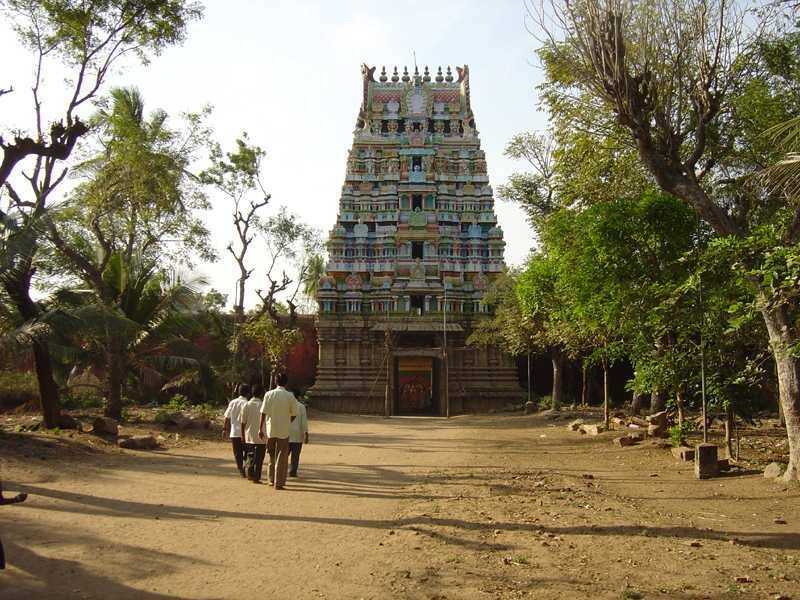 There is another shrine for Amman,where Devi is seen in three forms as Lakshmi(godess of wealth),Girigujaambaal (sakthi),and Saraswathi(godess of knowledge).As per the Sthalapuranam,there are two Shrines(Sannidhis) for the Presiding Deity(Moorthi)at this sthala,the colour of milk changes from white to blue during Abhishekam. 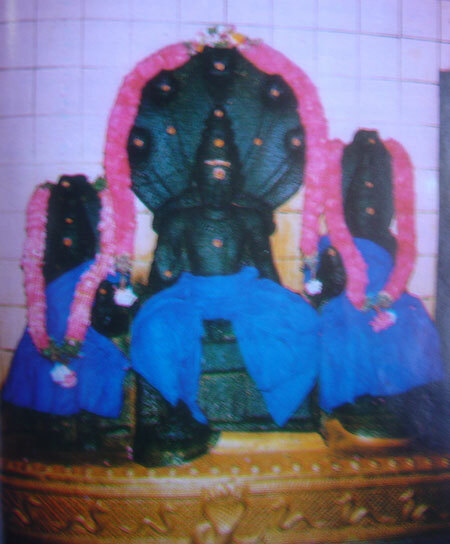 On 16.2.86, a snake had shed off its outer skin on Rahu Bhagavan, which is preserved and worshipped to date. People having Ragu dosha come here during Rahu kalam and perform Abishekas.The Jothisha Sastra (Astrololgy) states that if Raaghu is in good position in one's horoscope He will bestow all prosperity (including Raja Yoga ) to him and that person becomes a Kubera.If he is not in a good position and guilty ( Dhosha ) a person gets worst results and his life will be miserable. 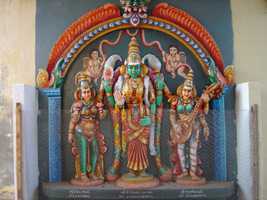 Therefore one should satisfy Raaghu (one of the 9 planets) by worshipping Him. 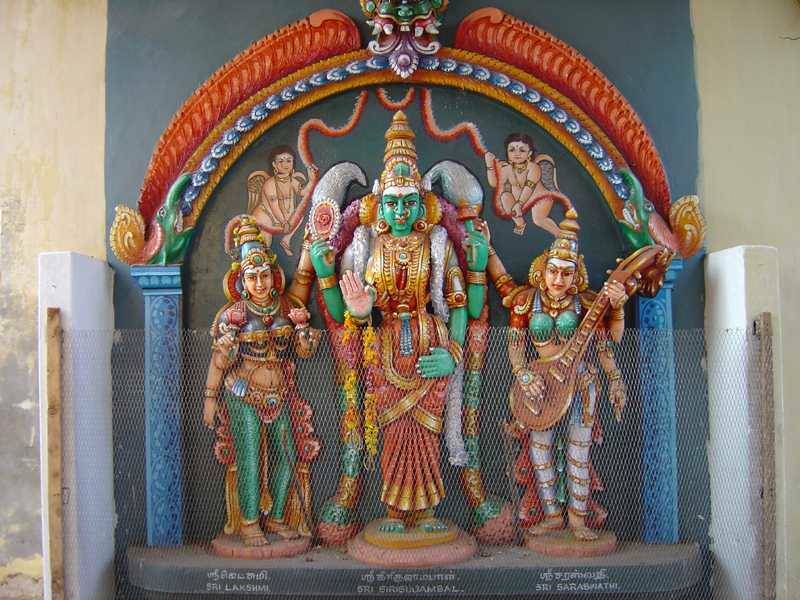 One's marriage will be delayed if Raaghu is in the 7 th place in a horoscope.If he is in the 5 th place, the Jaathaka (person) will not beget a child. In order to nullify Kalasthra dhosha, Naga dhosa and Putra dhosha one should worship Raaghu. 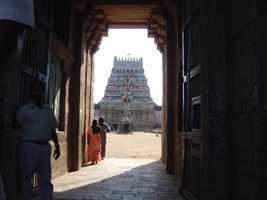 People afflicted with Nagadhosa should perform oblations. 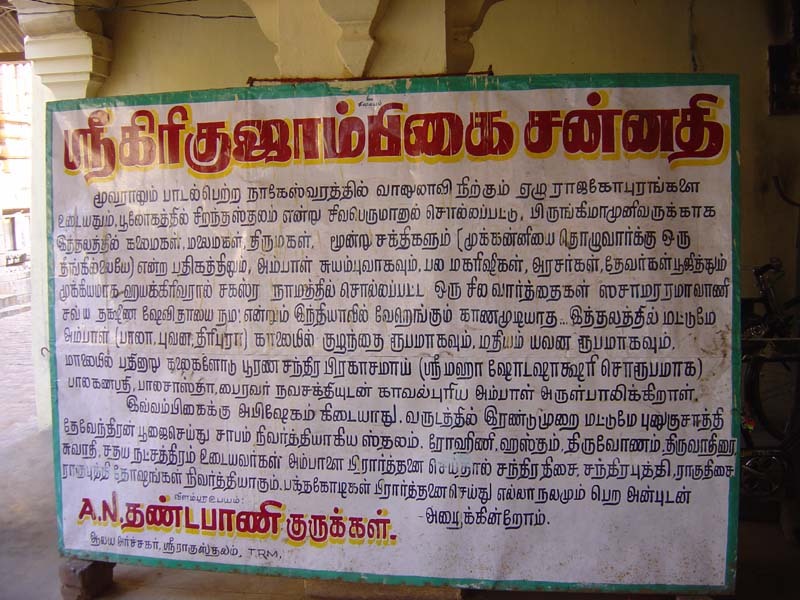 Thirugana Sambandar,Thiru navukarasu Nayanar,ThiruSundramoorthi Nayanar, and Arunagiri Swamigal have praised the glory of the Lord.The Thirunagechurappuranam which was written by Singaravelu pillai contains sufficient information about the temple.The Chola King Kandaraathithya (950AD-957AD) changed it into a granite edifice.The inner Mantapa was built by Seikkizhar, as it was a favourite place to him.Govinda Dikshitar (17 th century A.D.) a minister to Acchuthappa nayak, constructed the outer mantapa. 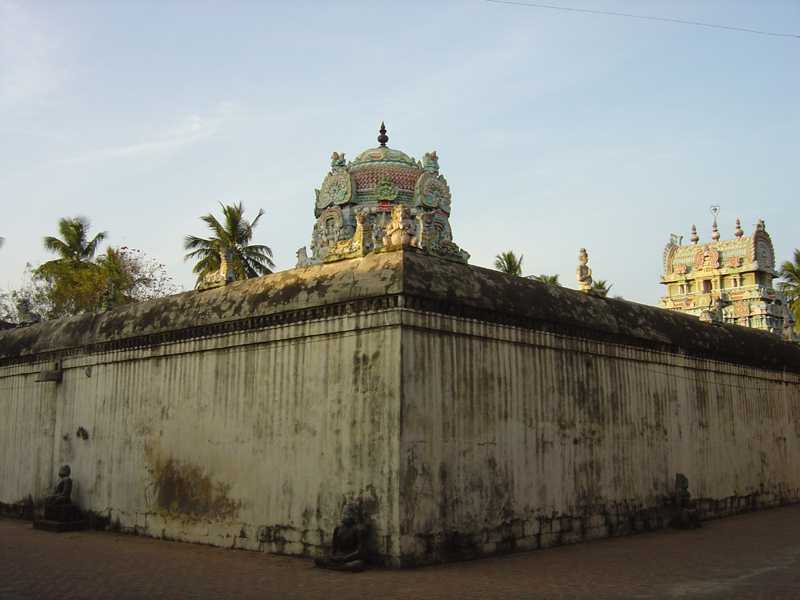 Sambumali,a King built the beautiful Surya Puskarani beautifully. The roof and other renovation work were done by Arimalazham Annamalai Chettiar. Gnaniyar Swamigal, the great saiva scholar, who was the pontiff at the Mutt at Thiruppapuliyur, was born here. 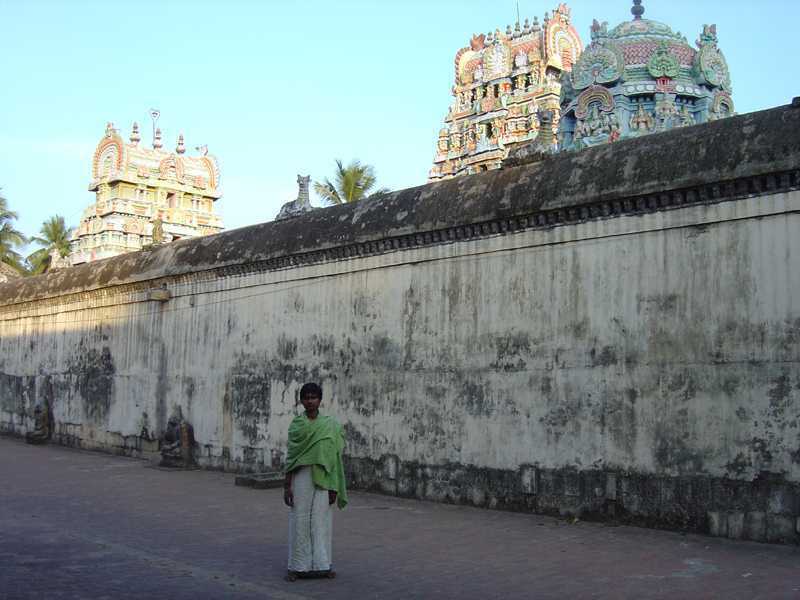 The measurement of the temple is 800 ft (East-West) x 680 (South-North). 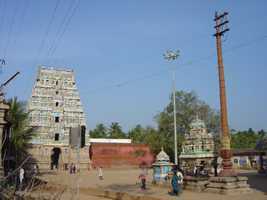 The gopuram is small. The temple is big with Prakaras (circuits). 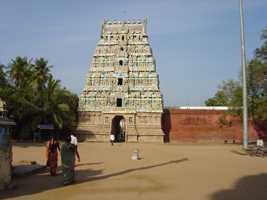 There are four gopurams on four sides in the outermost Prakara. 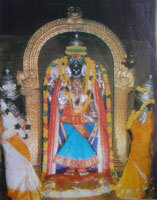 this Theertham using the Tri-Sula (3 spike) weapon. 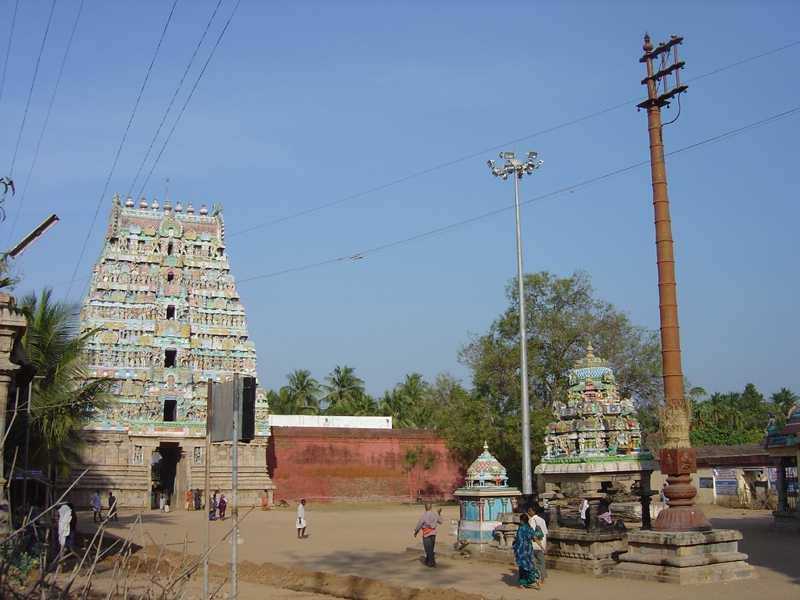 Thirunageswaram is located 6 km from Kumbakonam on Karaikal road.Nearest Railway station is at 2 k.m far at Theprumanallur (Thirunageswaram).Oppiliappan kovil is the nearest temple.